Forever Evil: Rogues Rebellion #1 came out two weeks ago. If you skipped it, might want to consider picking it up from your local comic shop! Nine pages of Nuclear Nemeses (that’s plural for Nemesis… geez, what am I, your dictionary?)! Click the image to enlarge. Forever Evil: Rogues Rebellion #1 by Brian Buccellato, Patrick Zircher, and Scott Hepburn! In stores now! Several Match-heads gave me a heads-up on this book. My thanks to Roy Cleary, Keith G Baker, Jon from Fizzit, and John Babos! If I’ve forgotten anyone, please accept my apology! Support Firestorm (and his Rogues)! Fan the flame! Posted in: Comic books, Deathstorm/Black Lantern Firestorm, Firestorm #10: New 52 v2 (Ronnie/Jason), Rogues Gallery. Have this one waiting for me with DCBS; after the events of Grodd #1 and Rogues #1 I am very excited for this story! This was in my box even though I didn’t ask for it. I bought it because I like the Rogues and now it looks like I have other reasons to check it out. Michael, did you get the Rogues one-shot from Villains Month? TYPHOON IS A STORM OF THE SOUL! Who is the girl in pink, Shag? I skipped this issue (LOL, along with many other FE tie-ins this month) mostly because seeing John Ravenhair, Plastique, & the Hyena reduced to one-dimensional run of the mill villain lackeys really sticks in my craw. 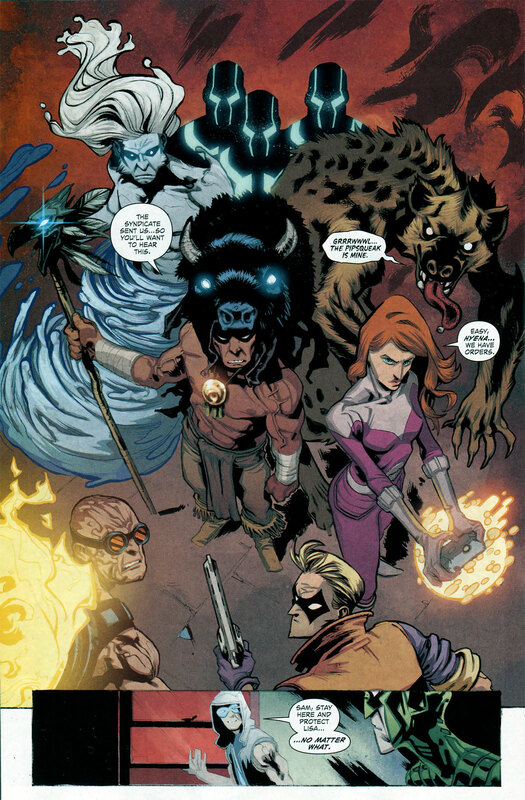 The beauty of Conway’s creation of many of the Firestorm rogues is that they were complex, multidimensional characters with conflicting reasons underlying why they came into conflict with Firestorm. Has ANY of that been shown in the New 52? I agree with your assessment of Firestorm’s rogues. Killer Frost got explored in Sterling Gates’ excellent one-shot. The others haven’t been treated too well. With that said, I’m torn. Part of me is happy they simply exist in the DC Universe. Now they are out there and people can do something interesting with them. The other part of me is sad they didn’t get developed. I know Jurgens plan was to introduce the rogues together, then spend one or two issues per rogue exploring them further. That’s what would have happened if the series hadn’t been canceled.